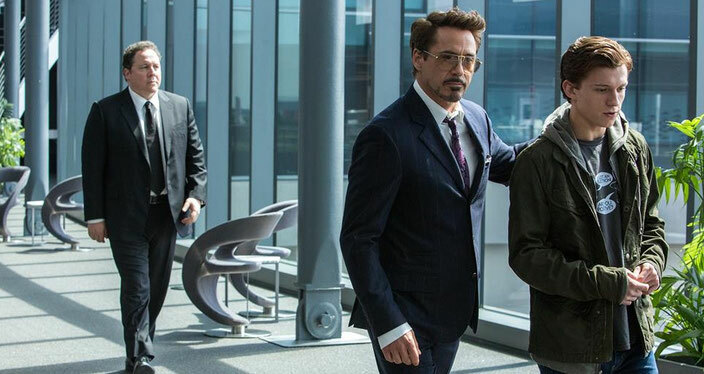 Thrilled by his experience with the Avengers, Peter Parker (Tom Holland) returns home to Aunt May (Marisa Tomei) to await the details of his next mission from mentor Tony Stark (Robert Downey Jr.). After school, Peter tries to keep busy by being your friendly neighbourhood Spider-Man. However, falling back into his normal daily routine proves challenging and he soon becomes frustrated and impatient. When Peter discovers a group of illegal arms dealers, he believes this might be a chance to prove himself and earn a place alongside the Avengers. 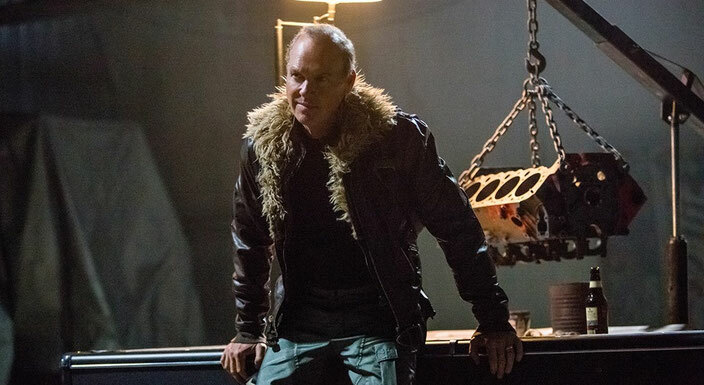 However, his actions will lead him into the lair of a formidable foe - the Vulture (Michael Keaton). A new Marvel movie is cause for celebration and a fair amount of wariness. Since the release of Iron Man back in 2008, this cinematic universe has had an incredible run. Of course, some films have proved stronger than others (a matter of great debate) but, overall, these movies have been consistently entertaining and satisfying. Quite simply, you really don’t want to be the filmmaker that makes the first Marvel movie dud. Thankfully, with Spider-Man: Homecoming, director Jon Watts has more than delivered. No easy task given the history (and baggage) that this character brings and the need for cross-studio collaboration between Sony and Marvel. This smartly scripted film is a joy to watch - laugh out loud funny, thrilling and endlessly endearing. Much of the success of Spiderman: Homecoming lies with Tom Holland’s performance. He lights up the screen, getting the balance of Peter Parker - part insecure teen, part action hero - just right. Indeed, the film is at its strongest when following Peter’s day to day life. His friendship with Ned (brilliantly played by Jacob Batalon) is hilarious, his teenage struggles and frustrations wonderfully observed. Meanwhile, the involvement of Robert Downey Jr.’s Tony Stark is also handled well. His presence is felt (particularly via a number of exciting spidey suit upgrades and gadgets) but this is very much a Spider-Man story and the film is all the stronger for that. One of Marvel’s weakest points is that its villains are (apart from Loki) nowhere near impressive (or interesting) enough to present our heroes with a real threat or challenge. The introduction of the Vulture is, therefore, a breath of fresh air. The Vulture is (thankfully) not interested in the end of the world. His motivations are lower in key - but no less powerful. While never feeling like the demon he is described as being, Michael Keaton brings a level of sinister gravitas to the role. He is scene-stealingly good, leaving me wanting more. 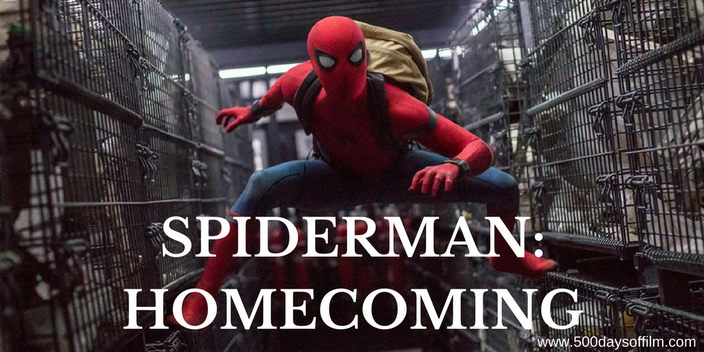 Spiderman: Homecoming’s exploration of this much younger iteration of Peter Parker is such a fun and entertaining ride that the film’s CGI-laden action sequences felt like an intrusion. It is not that we could really expect to have a Marvel film without some bashy smashy, but these explosive scenes were of least interest to me. I just couldn’t wait to get back to Peter Parker and his high school friends. If Spiderman: Homecoming is anything to go by, our favourite webslinger has a very bright future. Loved the (increasingly hilarious) cameo from an unexpected Avenger. As is customary for Marvel films, make sure you stay to the very very end if you want to catch two post-credit sequences. Have you seen Spider-Man: Homecoming? If so, what did you think of this movie? Let me know in the comments section below or via Twitter or Facebook! the film's title was uncovered, alongside extra cast, including Downey. Vital photography started in June 2016 at Pinewood Atlanta Studios in Fayette County, Georgia, and proceeded in Atlanta, Los Angeles, and New York City. The extra screenwriters were uncovered amid taping, which finished up in Berlin in October 2016. The generation group attempted endeavors to separate the film from past Spider-Man incarnations. Thank you for this fascinating additional information and for stopping by!